Arsenal are planning a move for the France international Abdou Diallo. 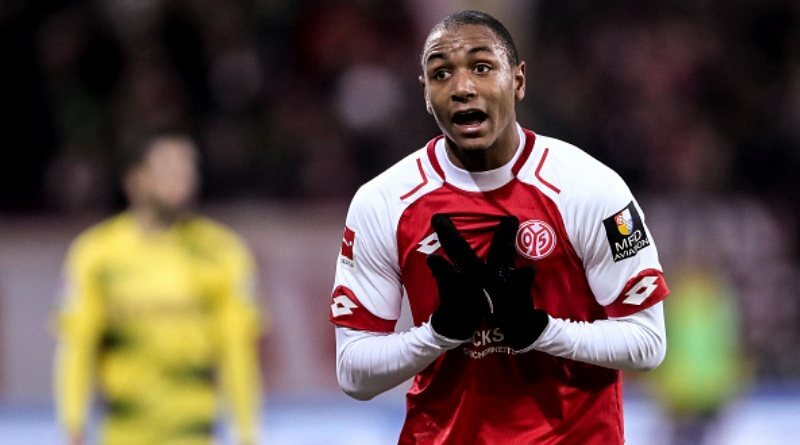 The reports in England suggested that Arsenal are linked with surprise move for Mainz centre-back Abdou Diallo. Mainz reportedly paid Monaco 5.3 million euros for Diallo earlier this year. The 21-year-old has a valid contract with Mainz until June 2022. Diallo has played 16 times for Mainz since signing from Monaco, scoring two goals in that time. The 21-year-old is considered to be one of the best young centre-backs in France. The France international has been in impressive form for Mainz this season. Abdou Diallo has represented France at Under-16, Under-17, Under-18, Under-19, Under-20 and Under-21 level, winning 55 caps and scoring three goals. The Arsenal manager is in the market for a new centre-back when the transfer window reopens. According to the report, there are defensive concerns for Wenger, with the imminent retirement of Per Mertesacker. Laurent Koscielny has struggled for form this season and he could be the only senior centre-back at the club alongside Shkodran Mustafi next season. Mainz have struggled in the German top flight, but the Gunners scouts have seen enough to know Diallo could be a future hit in England. The 21-year-old is certainly a player that would strengthen the current Arsenal squad and would be a good buy. How strong that interest is and whether Arsenal will make a winter move remains to be seen but it is certainly one worth keeping an eye on.